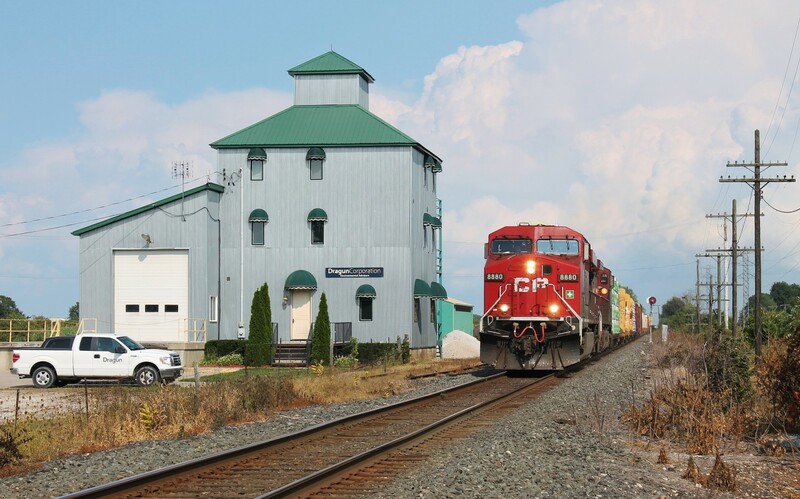 Railpictures.ca - Mike Molnar Photo: CP 235 rockets past the old mill/elevator in Elmstead, Ontario. The building was repurposed a few years ago and is now used as office space. For a comparison, please check out Geoff Elliott’s shot of the Expressway here in 2000. http://www.railpictures.ca/?attachment_id=33837 | Railpictures.ca – Canadian Railway Photography – photographie ferroviaire Canadienne.